Online poker has become one of the most loved games that people all across the country are playing. But there are dissimilar laws different states, so you should read the laws before start playing poker or you can face serious legal actions. 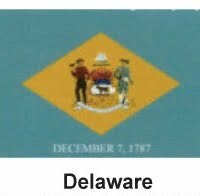 In order to keep you safe we have come up with the laws of different states and in this article we are going to inform you about poker laws in Delaware. You can easily play poker online in Delaware as gambling bill was passed by the state government in 2012 and you can play online poker with the real money. There are three poker sites that offer their services to people of Delaware since the fall of 2013. These three casinos sites that are offering online poker games via their own websites are using similar type of poker network. This network is provided by state contracted service provider 888 Holdings. These sites have shared players because of their similar network set-up. People like to play online poker on the site that is owned by 888 Holdings which also owns Pacific Poker and 888poker sites. It is one of the oldest online poker companies that are offering their service to Delaware residents. 888 Holdings is also authorized service provider that possesses license (In Nevada) for offering online poker to people of Delaware. 888 Holdings is traded company that has registered over $40 million profit in only 2012 and beaten their previous record of $5 million in 2011. There are only two ways to deposit money and you can deposit money either by credit card or via bank transfer. If you want to withdraw money then you can opt for check or bank transfer. You can’t transfer your deposit to other players. All the deposits are submitted in state run bank accounts. Casinos and vendors are paid at the end of the month.